We look forward to meeting you and giving you a fun and friendly introduction to rugby in a positive and encouraging environment. Let’s make it more fun! 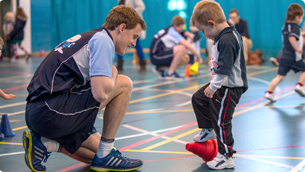 Coach Ben Lawson is an experienced and dynamic PE teacher of 15 years. He is�Head of Preparatory PE and Games (5-13 years old) in a top SW London independent school and Head of Football in the school (5-18 years old). Ben was also coach of the team that won the National Football Cup in 2014 and were runners up in 2015.